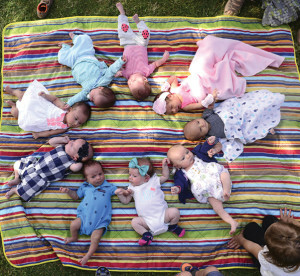 Babies lay in a circle during a group prenatal class at Freedom Park on Nellis Air Force Base, Nev., April 22. The Mike O’Callaghan Military Medical Center at Nellis AFB offers group prenatal classes for expecting mothers and their spouses. The program is rather new as the first iteration was in Oct. of 2016. NELLIS AIR FORCE BASE, Nev. — For expectant parents, group prenatal classes are invaluable. Labor and birth is often faced with anxiety, even fear, by expectant mothers, and these classes can help reduce the anxiety women may feel about labor and delivery, while also helping new parents adapt more easily to life with a newborn. 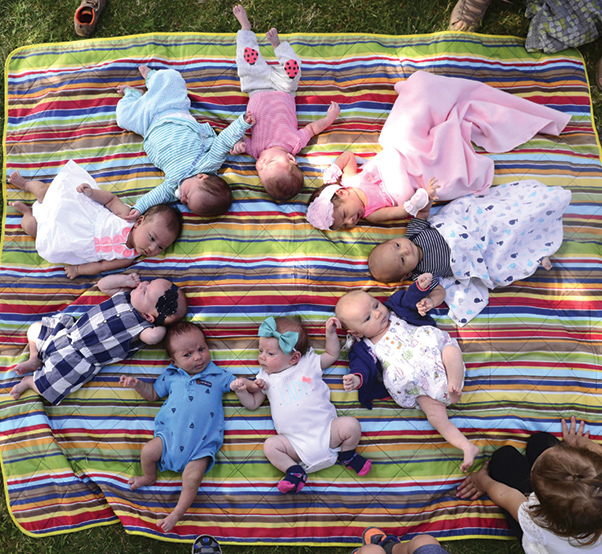 The Mike O’Callaghan Military Medical Center, Nellis Air Force Base, Nevada, offers group prenatal classes for expecting mothers and their spouses. The program is rather new as the first iteration was in October 2016. It was designed by Capt. Brittany Hannigan, 99th Surgical Operations Squadron Women’s Health Clinic certified nurse-midwife, with the assistance from other providers in the clinic, Family Medicine Residency and the nurses and technicians in the Women’s Health Clinic. 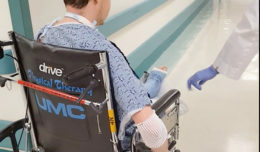 “The class takes 10 women whose delivery dates are around the same time and takes them out of their normal clinic appointment to do a two-hour appointment as a group,” said Hannigan. “The first class starts at their 20th week appointment and a new topic is covered at their 24, 28, 32, 36, 38, 39 and 40 week appointments. According to several research studies including those published in the Canadian Medical Association Journal, American Journal of Obstetrics and Gynecology and BMC Pregnancy and Childbirth, group prenatal classes have been shown to decrease c-sections, preterm births, the length of hospital stays, and increase breastfeeding rates, empowerment, efficiency, social support and education. According to Hannigan, the early feedback from the class has been extremely positive with participants specifically enjoying the belly casting portion of the class, exercise and nutrition class, prenatal yoga and the chance to meet and build friendships with the other expectant parents. The prenatal education classes are not just for first-time moms either, as even seasoned parents are encouraged to participate. All of the activities in the class are completely free. For more information about group prenatal classes, call the Women’s Health Clinic at 702-653-2300.